Readers have until 11:59 p.m. EST on Thursday, January 19th to win. The Chicago Manual of Style or the Associated Press Stylebook are must-have resources for many writers and editors. But if you write or reference religious texts and/or subjects, Chicago and AP will only get you so far. What’s the difference between “abiblical” and “unbiblical?” Should “gospel” be capitalized? What about “canon?” And what does “Teavangelical” even mean? 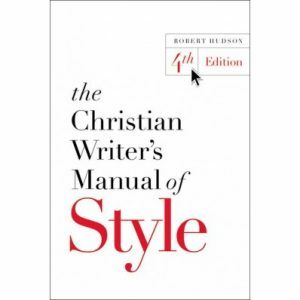 The Christian Writer’s Manual of Style aims to answer all of these questions and more. Fill out the form below to enter to win a copy of this handbook. Readers have until 11:59 p.m. EST on Thursday, January 19th to win.